MR Herget, "I Want This So Bad" 2015. Oil and spray paint on canvas. 76 x 48 in. MR Herget, "Wishing Doesn’t Work" 2015. Oil and spray paint on canvas. 48 x 30 in. MR Herget, "Never Said Never" 2015. Oil on Canvas. 76 x 48 in. 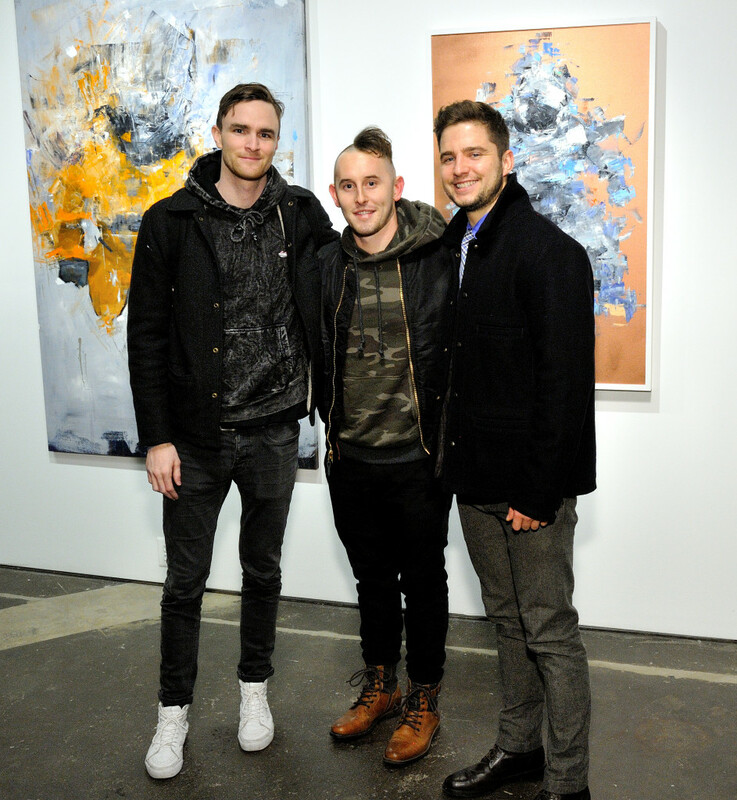 MR Hegret, "Heaven's Here" 2015. Oil and spray paint on canvas. 48 x 36 in. MR Herget, "Look Me in the Eye Feel Me in the Heart" 2015. Oil and spray paint on canvas. 48 x 30 in. MR Herget, "Love Your Enemy Means Have No Enemy" 2016. Oil and spray paint on canvas. 24 x 24 in. MR Herget, "A lil' bit of Universe, no. 3" 2016. Spray paint on canvas. 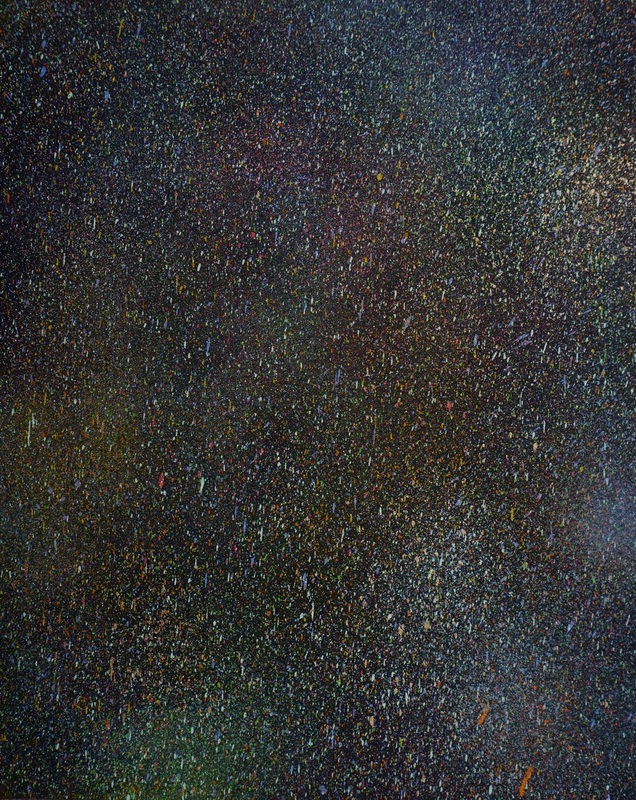 MR Herget, "A lil' bit of Universe, no. 2" 2016. Spray paint on canvas. 14 x 11 in. Knowledge Bennett, "Grace Jones" (Gold) 2016. Silkscreen and Acrylic on Canvas. 84 x 48 in. Knowledge Bennett, "Lupita Nyong'o" (Gold) 2016. Silkscreen and Acrylic on Canvas. 84 x 48 in. MR Herget, "A lil' bit of Universe, no. 1" 2016. Spray paint on canvas. 14 x 11 in. Knowledge Bennett, "Rihanna" (Gold) 2016. Silkscreen and Acrylic on Canvas. 84 x 48 in. Knowledge Bennett, "Madonna" (Gold) 2016. Silkscreen and Acrylic on Canvas. 84 x 48 in. Knowledge Bennett, "Trump Mao" (color scheme 2) 2016. Silkscreen and Acrylic on Canvas. 36 x 48 in. 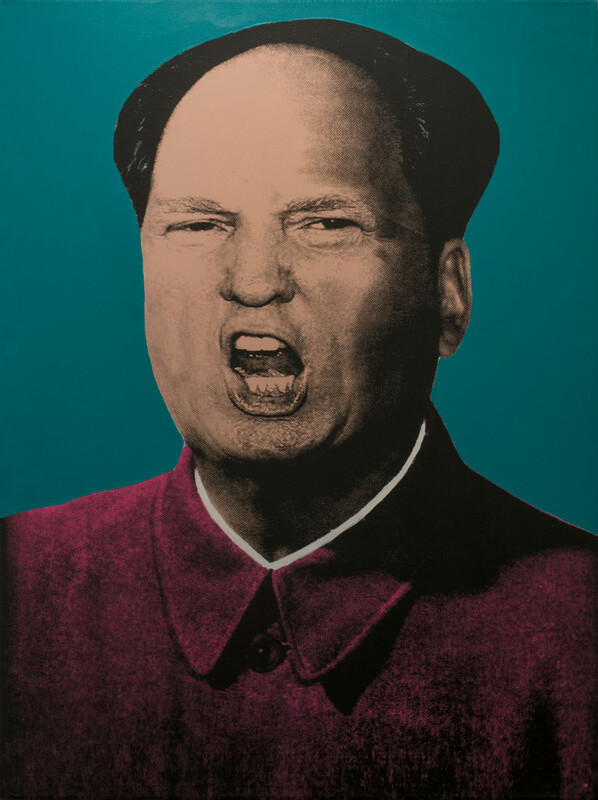 Knowledge Bennett, "Trump Mao" (Teal) 2016. Silkscreen and Acrylic on Canvas. 36 x 48 in. Knowledge Bennett, "Trump Mao" (color scheme 3) 2016. Silkscreen and Acrylic on Canvas. 36 x 48 in.